This website is designed to provide information, technology, and resources to teachers, administrators, and parents across the country. The website includes definitions and descriptions of the research and theories behind each of the big ideas, describes how to assess the big ideas, and provides information on how to teach the big ideas in your classroom. 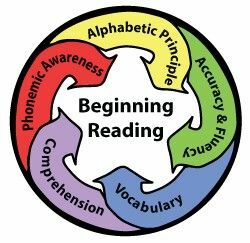 GOAL: All children reading by the end of third grade. The Scope of Reading in the U.S.